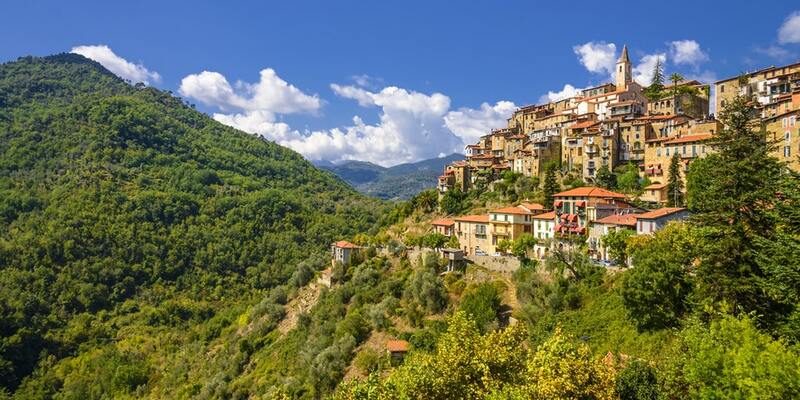 Make the most of French hospitality as you explore Italy Ventimiglia, Bussana Vecchia, Apricale and San Remo are near Menton and ideal for day trips: these Italian towns are less than an hour's drive away from Menton. La Dolce Vita is within arm's reach! 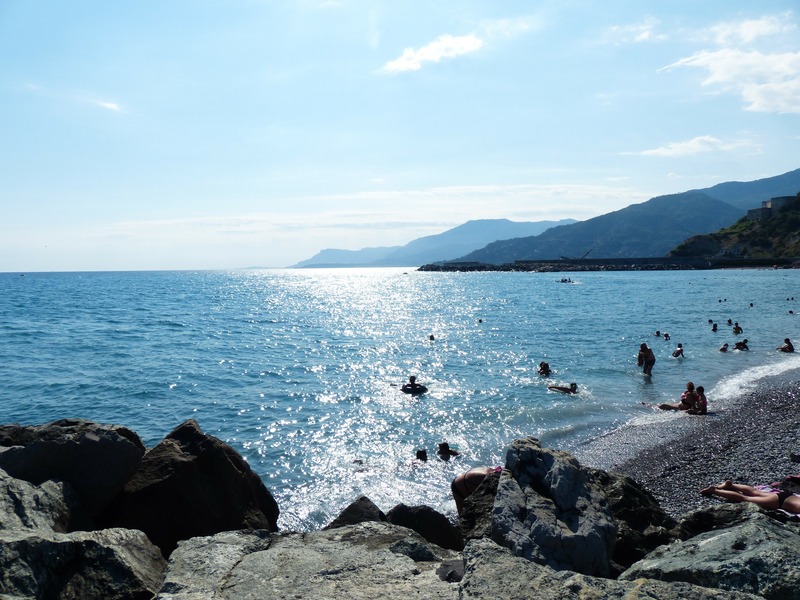 Ventimiglia is the closest Italian town to Menton located 20 mins away by car. Also known as the “Western Gateway to Italy", Ventimiglia is a sight for sore eyes with pastel-coloured houses and fabulous views along the Riviera coastline. It is in a prime position between the Italian Riviera and the Côte d'Azur with beautiful pebble beaches and renowned historical sites. Ventimiglia has always been a popular tourist destination. Ventimiglia is also famous for its bargain market on Fridays from 6am to 5pm. Less than an hour's drive away from Menton, feast your senses on Bussana Vecchia, a medieval village bursting with colour. 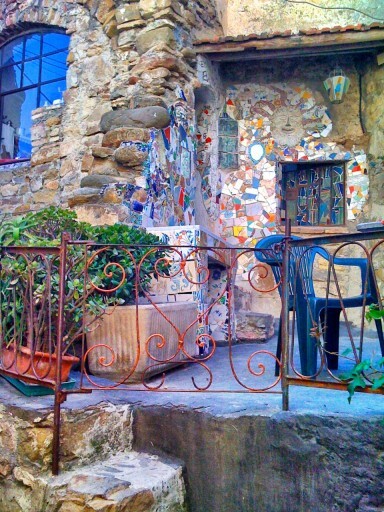 Also known as the "hippie village", this hilltop hamlet in Liguria has quite a story to tell. In 1887 the village was left in ruins and abandoned after an extremely powerful earthquake. It was a ghost village for decades until painters, sculptors and musicians decided to settle here in 1963 to bring it back to life, stone by stone, year by year. These artists now set the tone of the Italian village near Menton that attracts 50,000 visitors a year. Apricale is another Italian village near Menton. This hamlet is listed as one of the most beautiful villages in Italy and its typical old world beauty is simply stunning. An hour is enough time to explore this little hilltop village, its lanes and its 360° views of the hills and vineyards. Get away from it all and soak up Apicale as you wander its mysterious narrow lanes with mural frescoes. San Remo! Its bustling city centre and beautiful beaches make it ideal for a trip to Italy near the French Riviera. 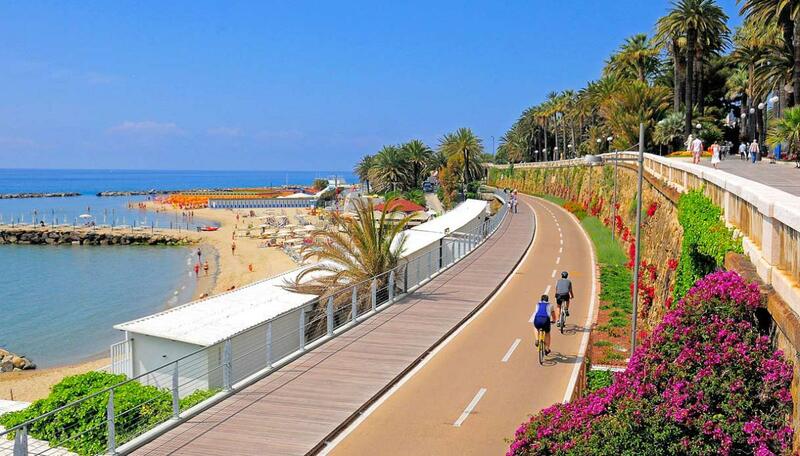 The city is also famous for its 24km bike path on a former railway track so you can go on an idyllic bike ride along the seaside in San Remo. Make sure you visit its medieval old town with stunning views. Treat yourself to a slice of Italian Dolce Vita on a day trip during your stay in Menton. Stay at the Quality Hôtel Menton Méditerranée to make the most of your Italian getaway! Get back in the evening and enjoy the comfort of your 3* hotel as you peruse photos from your day trip. Each year, Menton attracts millions of visitors with its mild climate, beautiful, colourful houses and the landscape combining the mountains and the sea. Make the most of all the town's assets before the crowds arrive by booking your stay in spring. See the Quality Hotel Menton Méditerranée's ideal programme for an unforgettable springtime stay in Menton. Sunshine and relaxation guaranteed! Something new on your hotel's rooftop! Enjoy an enchanting break right at the heart of Menton on the rooftop of the Quality Hotel Menton Méditerranée. Our Champagne/Tapas offer, cocktail menu, happy hour and plenty of other new things as well. The roof terrace at our 3-star hotel is the ideal place to share an enjoyable experience with family or friends. You can go up to the 7th floor of the hotel all the year round for a great view out to sea! Win a stay in Menton during the 2020 Lemon Festival! From February 15th to March 4th 2019, participate in the special Lemon Festival contest organized by the Quality Hotel Menton Méditerranée on Instagram! Our 3-star hotel invites you to the heart of the Lemon Festival, emblematic event of Menton and makes you win a stay for 2 people. Discover how to try to win a night during the 2020 Lemon Festival in a Superior double room with breakfast included*.